4/15 6-9pm Silky Elegance Necklace - Bloomin Beads, Etc. 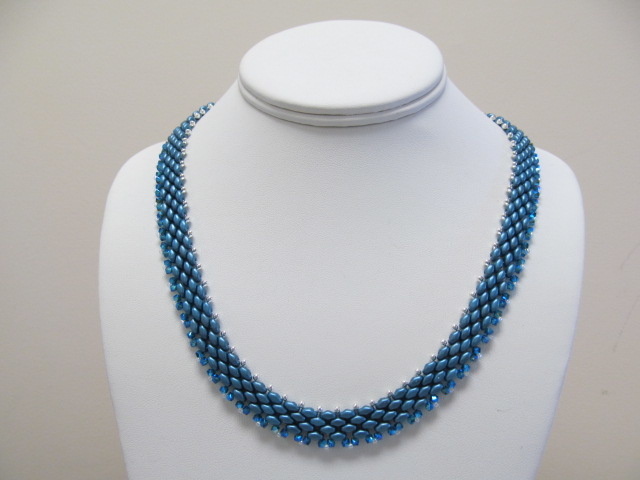 This lovely necklace is perfect for summertime, just around the corner! The SuperDuos and Swarovski crystals make the perfect combination, and the feel is silky against your neck. Some kits use Sterling Plated beads for extra shiny sparkle! Come have fun and enjoy learning with us! Isn’t this just perfect? This is a stunning necklace that will look great on you!